This section of the Gettysburg battlefield is the Union right during Pickett's charge. 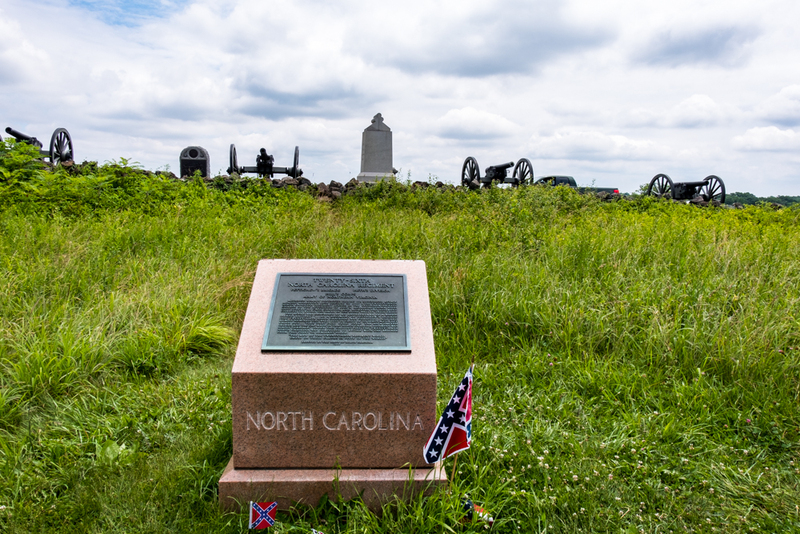 This stone marks the advance of the NC troops who ended their effort 10 yards from the wall. The cannon were firing with double loads of canister, basically large shotguns and the wall was shoulder to shoulder with Union rifles. The amazing thing is not that they did not get across the wall but that they got so far. Just to the right other troops from Virginia's 38th breeched the wall but could not hold their position, thus the High Water Mark of the Confederacy.